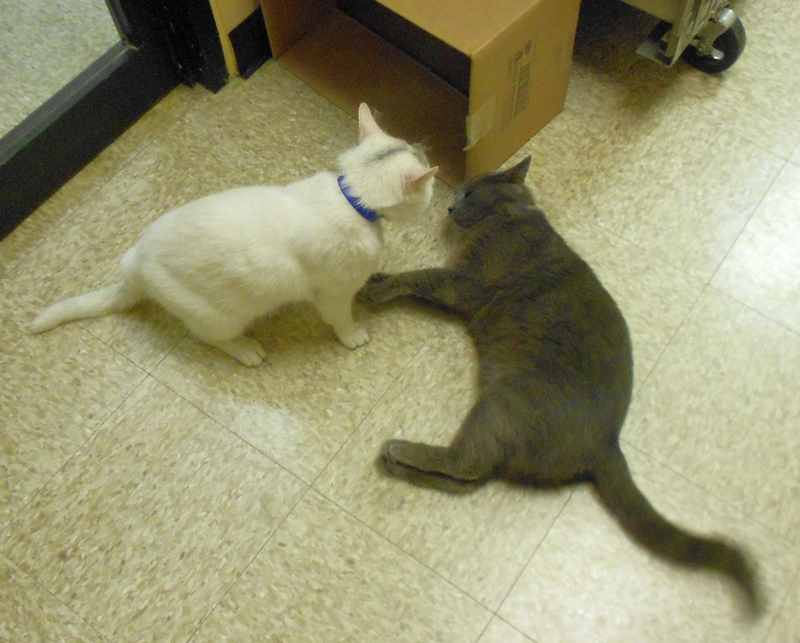 When we arrived, these two boys were in the process of being adopted together. They weren’t a bonded pair or anything, but when the adopters heard that they enjoyed playing together, they decided to take both. Smokey was playing a little harder than Smudge, who liked to protest, but always went back for more. Also adopted last week: Georgia. ← Busy week: Brenda et al. Yippee for double adoptions! We’ll bet they have a wonderful life together!